Thanksgiving Pies From The Apple Bakery Cafe @ The Culinary Institute of America. One of our fastest selling products is our Frozen Classic Apple Pie for you to bake in the comfort of your own home. Place your order by Friday, November 21! 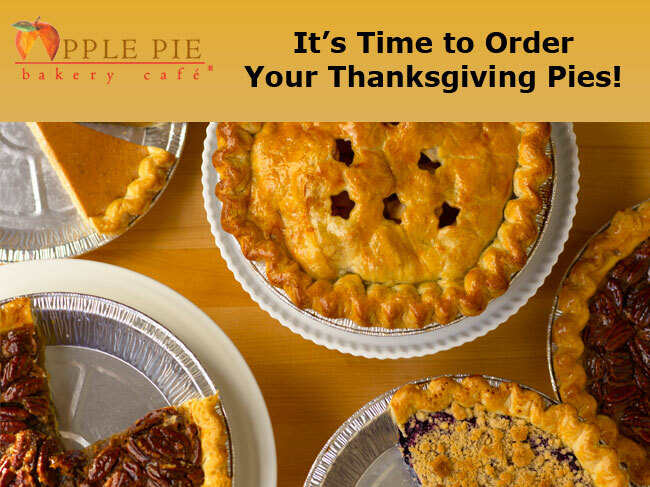 To order your pies, stop by the Apple Pie Bakery Café or call 845-905-4500. Monday, November 24, pick-up available 7:30 a.m.–5 p.m.
Tuesday, November 25, pick-up available 7:30 a.m.–6 p.m.
private dining room of the American Bounty Restaurant. We'll also have pies available on a first come, first serve basis on Monday, November 24 & Tuesday, November 25 in the Café. *All frozen pies prepared for Thanksgiving pie pick-up will NOT be pre-baked. They are meant to be baked at home. Frozen apple pies will come with baking instructions, sanding sugar, and pie shine. All you need to add is egg wash (instructions included). Please let us know if you have any other dietary restrictions, and we will work to accommodate to the best of our ability! Thank you for supporting the Apple Pie Bakery Café. We appreciate your business and wish you a happy holiday season! December 6, 2014 at 6 p.m. 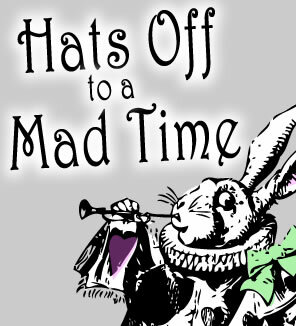 The senior class at The Culinary Institute of America will be hosting "Hats off to a Mad Time," a benefit dinner on December 6, 2014. The Mad Hatter is a character from Lewis Carroll's classic Alice in Wonderland, who hosts a wacky tea party. The festivities for our event begin with a reception featuring specialty beverages and hors d'oeuvre. There will also be a silent auction to benefit the Children's Home of Poughkeepsie and The Culinary Institute of America's Side Towel Scholarship fund. One of the Hudson Valley's favorite bands, Bill's Toupee, will provide musical entertainment. November 1, 2014 at 5 p.m. Seniors at the CIA traveled the world this past summer to experience cuisines, wines, and cultures. They now wish to share their experiences with you. 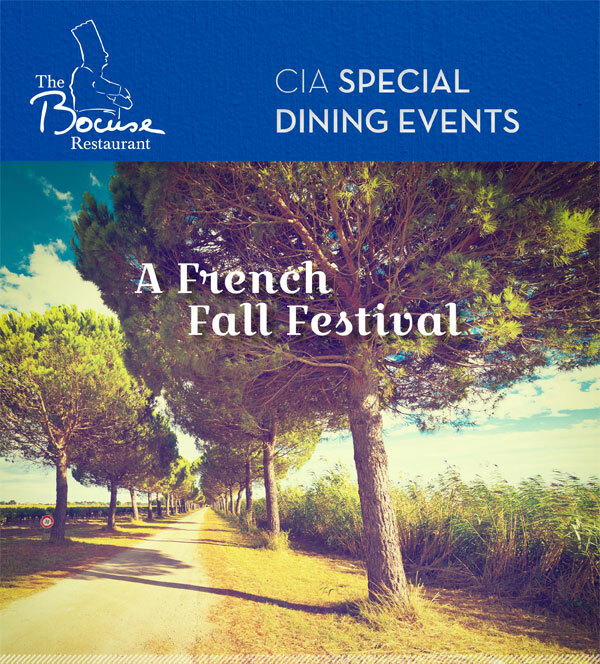 Your first-class ticket is set for November 1, 2014 at the Ristorante Caterina de' Medici on the CIA campus in Hyde Park, NY. The evening begins with a 5 p.m. reception and silent auction filled with donations from across the country. Following the reception will be a four-course dinner with beverage pairings. 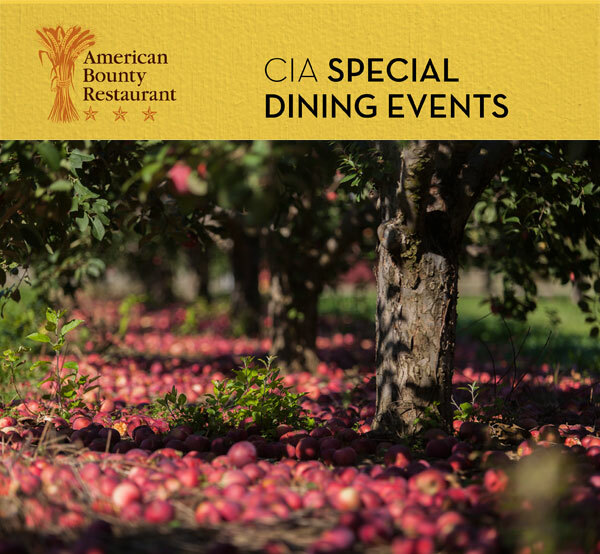 Proceeds from the dinner and silent auction will benefit Astor Services for Children and Families and the Bachelor's of Professional Studies Scholarship Fund at the CIA. November 8, 2014 at 6 p.m. The senior class of The Culinary Institute of America presents "Havana Nights," an evening with all the heat, glamour, and vibrancy of Old Havana. The student-run dinner will feature decorations, entertainment, music, and an outstanding Latin menu sure to whisk guests away to a place of beachy breezes, swaying palm trees, and timeless elegance. A reception, three-course dinner with wine pairings, and silent auction will be included. Proceeds to benefit Children's Home of Poughkeepsie and the CIA's Bachelor's of Professional Studies Scholarship Fund. Live music to be provided by Latin Explosion. Wednesday, Oct. 29, 6 p.m.
View Menu or Make a Reservation! 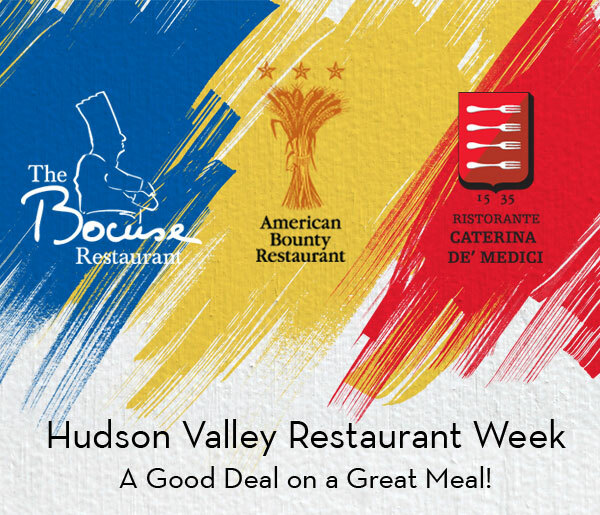 To reserve by phone, call 845-451-1011. Each CIA student will serve on one of four teams: Marketing, Finance, Foodservice, and Service. Planning a charity dining event prepares CIA seniors for the real-world experience of working in the food and hospitality industry. Come support their charitable efforts! You are receiving this e-mail because you have subscribed to one of our mailing lists. We respect your right to privacy. Copyright 2014. The Culinary Institute of America. Allserved. with this year's Harvest Party price. 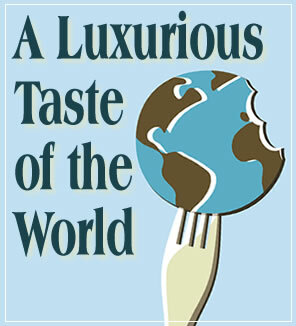 October 25, 2014 at 6 p.m.
A Taste of Fall will be an elegant and unforgettable evening to raise money for the Down Syndrome Association Hudson Valley and support the dreams of CIA students. 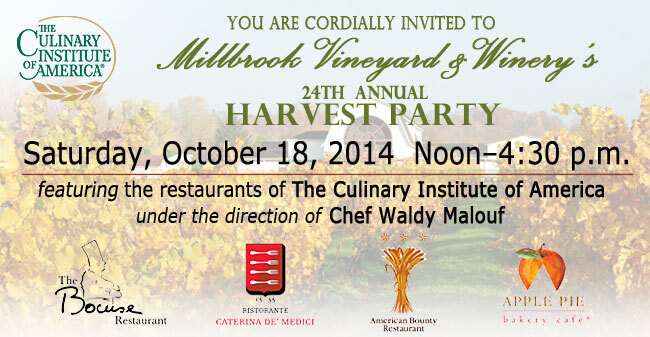 The reception will feature a menu focused on seasonal products. Dinner follows in the Ristorante Caterina de' Medici as an edible journey through the Hudson River Valley, accompanied by specialty seasonal cocktails showcasing beers and ciders from local breweries and distilleries. The five-course meal finishes with elegant desserts. 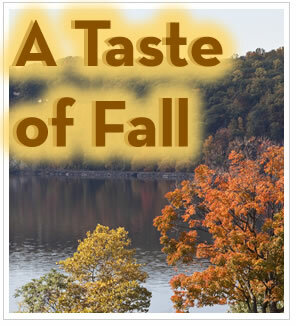 Join us on a whirlwind trip through the region, in this Taste of Fall. Come enjoy a great evening with us and help CIA students assist their community. To date, over 30 events have taken place in support of 150 charities! Wednesday, Oct. 15, 6 p.m.
Thursday, Oct. 16, 11:30 a.m.